Linglong at Latin American and Caribbean Tyre Expo | Linglong Americas, Inc.
(Beijing time) On June 13th, Panama President Barrera announced the establishment of for the Government of the Republic of Panama recognizes that there is but one China in the world, that the Government of the People's Republic of China is the sole legal government representing the whole of China, and that Taiwan is an inalienable part of China's territory. The government of the Republic of Panama severs "diplomatic relations" with Taiwan as of this day and undertakes not to have any more official relations or official exchanges with Taiwan, and the Government of the People's Republic of China appreciates this position of the Government of the Republic of Panama. Establishment of diplomatic relations between the countries is the trend. Many Chinese enterprises advocate this achievement with their behavior. In 2017 Latin American&Caribbean Tyre Expo, many Chinese tire brands appearing on the show, including the well-known national tire brand, Linglong Tire, with its hit products like CROSSWIND HP010, CROSSWIND A/T, GREEN-Max and KMD401. Latin American & Caribbean Tyre Expo 2017 is one of the biggest event on tire. Each year the Expo has grown beyond our expectations. The Expo provides exhibitors with direct access to the Latin American and Caribbean tire dealers in a personal setting that forges long lasting commercial and personal ties. The Latin American & Caribbean Tyre Expo has become the premier tire and related products show in Latin America and the Caribbean.Meet and connect directly with tire, wheel, and related company industry leaders who are looking for new distributors for their products. Panama is a strategic venue, and a familiar and economical location for exhibitors to present their products to the Latin and Caribbean markets. It is also a location visited by thousands of Latin American and Caribbean business people due to the Panama Canal and the duty free zone. Panama is an international air and ocean hub, making it easy for travelers to reach. 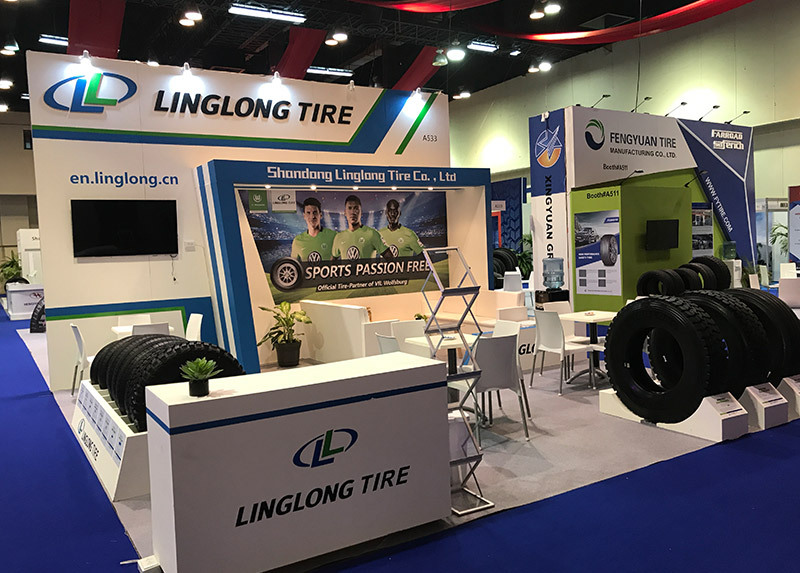 Linglong Tire has always been attaching great importance to the Latin American markets, and has participated in this tire exhibition for many years. Linglong actively promotes its brand awareness in Latin America and sets up brand shops in Panama. Taking the advantage of establishment of diplomatic ties, Latin American & Caribbean Tyre Expo provides a better opportunity for the promotion of Chinese tire brands. It is well believed that national brands have already risen!